With medical expenses being the leading cause of financial hardship in the United States, programs like Care Credit can help cover unexpected bills. The number one cause of bankruptcy in the United States is medical bills. Medical bills account for 62 percent of all personal bankruptcies. Even smaller medical bills can be a problem if they hit when you don’t have extra cash. Fortunately, Care Credit is a possible solution, but it’s far from perfect. Even after the passage of the Affordable Care Act, the health care crisis is growing. Health insurance is definitely more affordable for some, but the cost of health care is rising, and employers are paying a smaller share of insurance premiums. Even when people do have insurance, high deductibles are making it difficult to use. How much are Americans spending on health care? Americans spend more on health care than anyone else in the world. In 2016, the average person spent over $10,000 getting or staying healthy. That’s almost a third of the average per capita income. Since the passage of the Affordable Care Act, personal bankruptcies have dropped by a whopping 50 percent. Still, medical bills are the leading cause of personal bankruptcy. According to the Kaiser Family Foundation, about 40 percent of adults carry medical debt. A quarter of Americans have trouble paying their medical debt. That is where Care Credit comes in. Care Credit is a credit card that is used just for medical expenses, even veterinary expenses. In most cases, they allow several months — or up to two years — interest-free. The card can be great if you break your glasses or you need some emergency dental work. But, it’s not an ideal way to pay for major medical procedures. While you can’t use most credit cards until that card is in hand, Care Credit allows you to use it upon approval. The most significant advantage of Care Credit is that it lets Americans get the care they need now. They no longer have to wait for that bonus, or tax return, or even for the next paycheck. And they don’t have to take out expensive payday loans. Health care providers love Care Credit. It takes them out of the business of having to collect money from patients. As with a standard credit card, you simply swipe, and then you make the more manageable credit card payments. Care Credit is not just for the uninsured. It covers medical expenses that insurance doesn’t, such as dentistry, vision, and even plastic surgery. You can even use your card at a day spa or a veterinarian’s office. Of course, you can also use it to cover burdensome deductibles. Some plans offer limits of up to $25,000. As long as you charge at least $200, they give you a deferred interest period. That period can range from six to 24 months. Say you charge $1,200 and have six months interest-free: All you would need to pay it off is $200 a month. That’s a lot more realistic for most than one lump sum. There’s a catch, though, and for some, it’s a big one. If you can make more than the minimum payment and pay it off during the promotional period, you will not be charged interest. 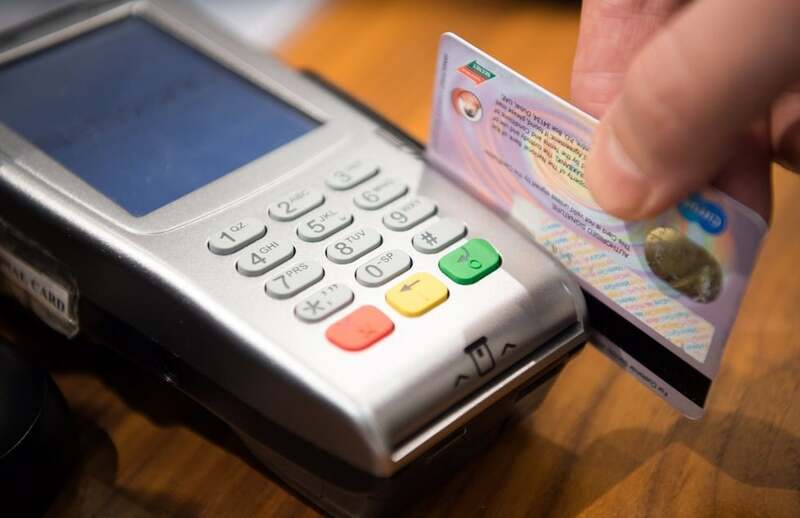 If, however, you go past the promotional period, you will be charged interest beginning the day your card was swiped. In other words, if you charge that $1,200 and pay off all but $100 by the end of the six-month promotional period, you’ll pay six months of interest on the full $1,200. Interest can be as high as 26.99 percent. For most people, according to Mason Burham, Vice President for Communications at Synchrony Financial, the parent company of Care Credit, that’s not a problem. She says that 87 percent of people who use Care Credit choose deferred interest. Most pay it off before the promotional period. You can find an application at most doctor’s offices and veterinary offices, as long as they are Care Credit providers. You can also find applications on Care Credit’s website. For a complete list of Care Credit providers, click here. Unlike with standard credit cards, you will need to specify where you plan to spend it. The Care Credit application is a lot like any other credit application. It will ask for your full name, social security number, address, and date of birth. Most people with credit scores of 650 or above are approved. For those who have scores below 650, Care Credit accepts co-signers. The most significant pitfall of Care Credit is the interest rate. The base interest rate is 26.99 percent, which is higher than many credit cards. Some will qualify for reduced interest for a period of time. But as with the deferred interest, if the balance is not paid in full during the promotional period, you’ll be charged the full rate for the balance from day one. It’s recommended that you take a good look at your household budget before using Care Credit. If you can afford to pay it off during the promotional period, it might be exactly what you need to help you out of a bind. If you can only afford the minimum Care Credit payment, though, it may cost you more than it’s worth. Fortunately, Care Credit has the tools to make it easier to stay on track. Divide your total balance by the number of interest-free months and set automatic payments. If you aren’t comfortable with that, put it on your calendar a couple of days before the bill is due. If your credit score is high enough to qualify, you may qualify for a credit card that offers actual 0 percent interest, instead of deferred interest. Nerd Wallet has a tool to help you find one for your credit situation. In most situations, though, you can’t use your credit card until you receive it, which can be a few days after applying. That’s not very helpful in emergency situations. But if you know in advance, a credit card could be preferable. If you don’t have the luxury of time, you may be able to transfer your Care Credit balance onto a no-interest credit card. If you don’t qualify for Care Credit or don’t want to, ask your healthcare provider about making payment arrangements. The best way to avoid the credit trap is to plan ahead — far ahead. Open a Health Savings Account (HSA). An HSA allows you to put away a few dollars every month to be used for everything from surgery to contact lenses. All of the money you deposit in an HSA is tax-free, so you’re saving right there. Unfortunately, HSAs do not cover veterinary expenses or day spas. Americans already pay the highest health care costs in the world. Paying interest on top of already inflated medical costs is probably not a wise financial decision. If your child or your pet gets sick, though, you’ll get them treatment, no matter what it takes. Care Credit is certainly preferable to payday loans. Avoid Care Credit if you have other means and can only afford the minimum payment. Talk to your doctor’s billing office and see if they’ll work with you. Care Credit is a sensible option for those who can pay the balance before the promotional period ends. The approval process is fast, and it’s easy to find Care Credit providers.